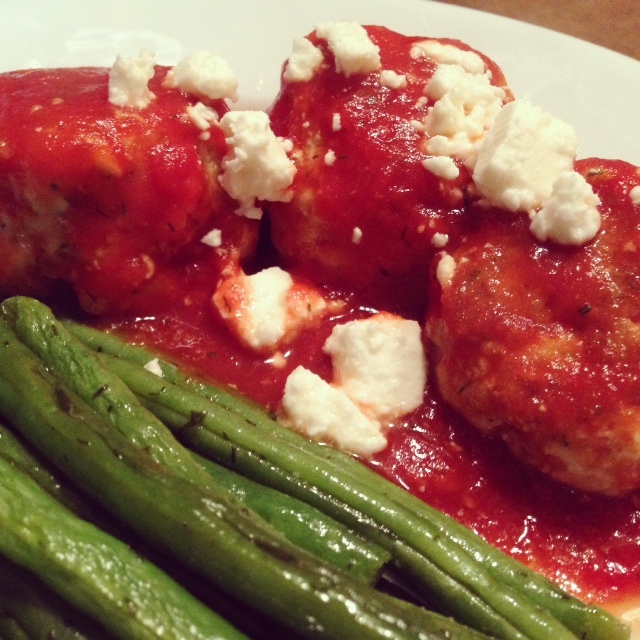 Gluten-Free Turkey Meatballs With Quinoa, Herbs & Feta. 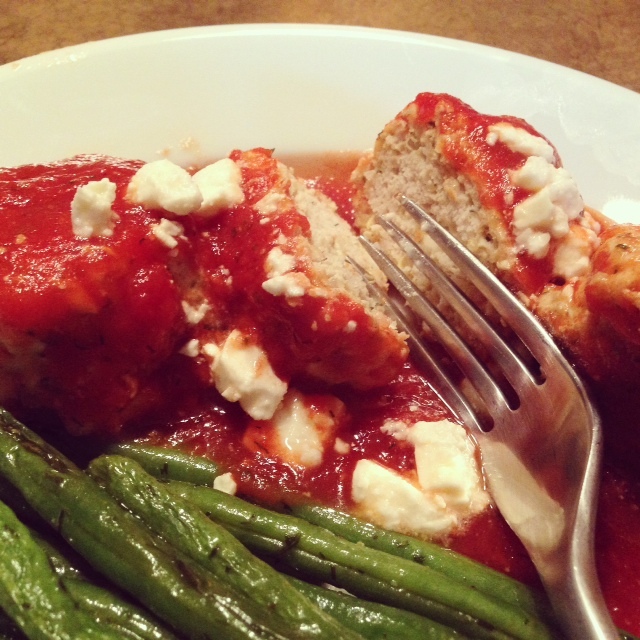 These healthy meatballs are filled with delicious Mediterranean flavor. By replacing breadcrumbs with quinoa, they have a great texture and are naturally gluten-free. The feta adds a salty, decadent deliciousness. 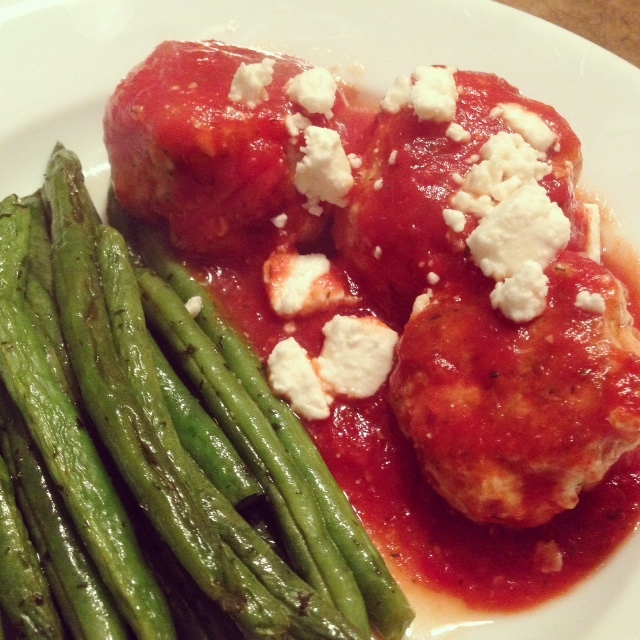 These meatballs would be great over pasta, but I decided to keep things low-carb and served them with some roasted green beans. In a large bowl, mix the ground turkey with the eggs, quinoa, feta cheese, garlic, dill, basil, cayenne pepper, hot sauce and a dash of sea salt. Mix well and form the meat into small balls that fit in the palm of your hand. 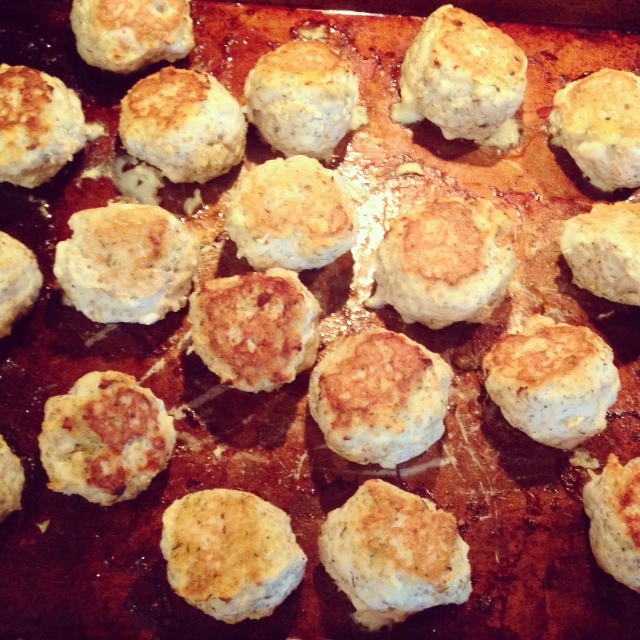 Put 1-2 tbsp of olive oil on a baking sheet (evenly dispersed) and then line the meatballs onto it. Bake in a 400 degree oven for 15 minutes, the flipping the meatballs to brown the other side, and then cook for an additional 15 minutes. Heat the crushed tomatoes and tomato paste together in a large pot. Season with a dash of sea salt, dill and basil. When the meatballs come out of the oven, add them into the sauce and simmer for about 30 minutes or so. When serving the meatballs, top with a pinch of the feta cheese and serve on top of spaghetti or with the side of your choice.